If the Cape Breton Capers thought they would have an easy path to the AUS men’s basketball championship, they thought wrong. The No. 2 nationally ranked Capers survived a scare by the St. Francis Xavier X-Men in semifinal action Mar. 2 at the Halifax Metro Centre as they held on to win 80-70. With the victory, the top-seeded Capers (19-1) will meet second-ranked Acadia (15-5) in the final Mar. 3 to decide who will be crowned 2013 AUS men’s basketball champion. St. FX (9-11) played like a team that disregarded all previous records, stats and rankings heading into the matchup. Fresh off a quarter-final upset of sorts over the fourth-seeded Dalhousie Tigers, the X-Men kept their momentum against the powerhouse Capers, giving them all they could handle in a nail-biter that came down to the final minutes. With Cape Breton leading 60-53 heading into the fourth quarter, fifth-year X-Men Jeremy Dunn and Tyrell Vernon took the game into their own hands, contributing a combined 13 points to help tie the game at 68 with six minutes left. St. FX’s comeback fell just short, however, as back-to-back league MVP Jimmy Dorsey and Sean McCormick exploded with 10 points to stop the X-Men rally and close the game for the Capers. Dorsey credited his team for coming through when it counted. X-Men head coach Steve Konchalski, who concludes his 38th year as head coach, was happy with his team despite the loss. McCormick registered 19 points and nine rebounds while Meshack Lufile had 18 points to pave the way for the Capers. 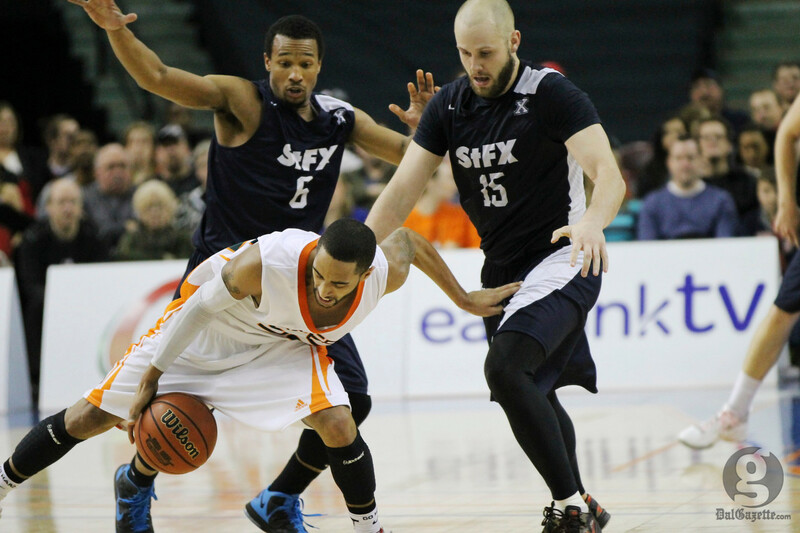 Dunn and Vernon had 23 and 19 points, respectively, in their last game wearing St. FX blue and white. In the title game, CBU will face a very tough Acadia team that has proven every bit as deserving of a shot at the AUS crown. The Axemen handed the Capers their only regular season loss, a decisive 73-49 victory on Feb. 16. Capers head coach Matt Skinn is confident his team will perform when it matters most.